In December 2012 we were wondering what to do about Christmas cards as the cost of postage in the UK had recently increased by an enormous amount. We had the bright idea of sending a musical Christmas greeting, instead of a physical card so spent the evening of December 13th in the studio recording an extremely light-hearted version of Ding Dong Merrily on High. The following day we emailed a hyperlink to everyone we knew and by December 26th, it had been downloaded over 6000 times. We received lots of comments along the lines of "When's the rest of the album coming out?" Well, this is it, and we hope you enjoy it! 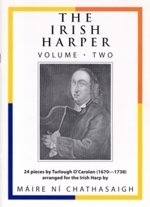 In 1994, Old Bridge Music released The Carolan Albums, a 66-minute CD containing 24 of the best-known and most beautiful compositions of the celebrated blind Irish harper and composer Turlough OCarolan (1670 - 1738), to a level of critical acclaim which can only be described as rapturous. 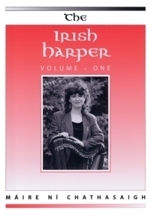 Carolan was the most famous of all the Irish harper-composers of his day, and his music continues to be the most popular ever composed for the harp in Ireland. It affords a great deal of scope to the creativity of the individual performer, since only Carolans melodies survive. 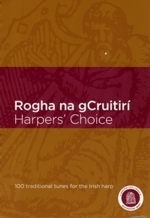 This recording consists entirely of original arrangements, thoughtfully interpreted, of these beautiful tunes, informed by Máire's knowledge both of the native Irish harp tradition and of baroque forms, but with a discreetly contemporary tinge provided by Chriss tasteful guitar. 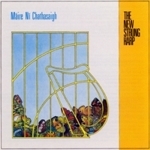 In late 1991, Máire and Chris released 'Out of Court', an effervescent mixture of baroque-influenced Carolan, straight-down-the-line Irish dance music, haunting songs and a 17th century air from the ancient Irish harp tradition, interspersed with original compositions which exhibit some dazzling jazz-influenced pyrotechnics.. 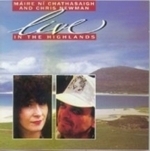 In 1988, Máire and Chris released 'The Living Wood', their critically acclaimed first album together. It originally appeared on the American Green Linnet label, then on Black Crow. The licence reverted to Old Bridge Music in 1994 and we were delighted to be able to re-release it on Old Bridge Music. The excellent Bryan Ledgard redesigned the sleeve, and Chris digitally remixed it for optimal sound quality. This recording was made in 1995 during a series of concerts at the 2nd Highland Harp Festival held in Balnain House, Inverness (Scotland's centre for the promotion of Highland music) and in the Western Isles of Skye, Harris, Benbecula and Mull. The tracks are presented in more or less the same order that they were performed on stage, except that the middle section was chopped out so what you're left with is the first half of the first set spliced on to the second half of the second set!